« How to Split Videos Into Sections for Youtube? How To Stop People from Stealing Your Online Information? Due to the technological advancements taking place, day to day tasks can be done easily and business is growing more rapidly then ever before. Everybody is moving towards the online business model. Internet has taken over almost every field of life with its advance management system and easy to use options. There are many risks involved with this advancement of technology and people find it difficult to secure their information, which is generally available online and is easily traceable. It is a known fact that you can easily set up your local network security system in your computer to minimize the risk of losing any personal information or records. The Microsoft Windows operating systems are now available with an advanced built in firewall system which can be set up easily. 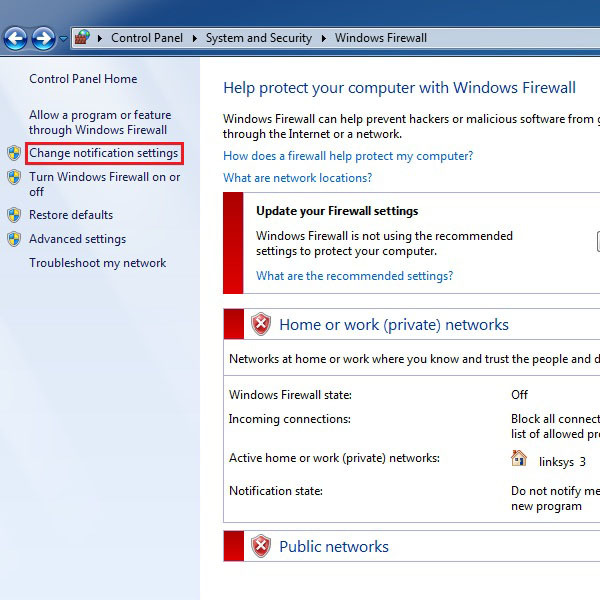 In this tutorial we will guide you on how to stop people from stealing your online information by setting up your firewall and security settings in a proper way. 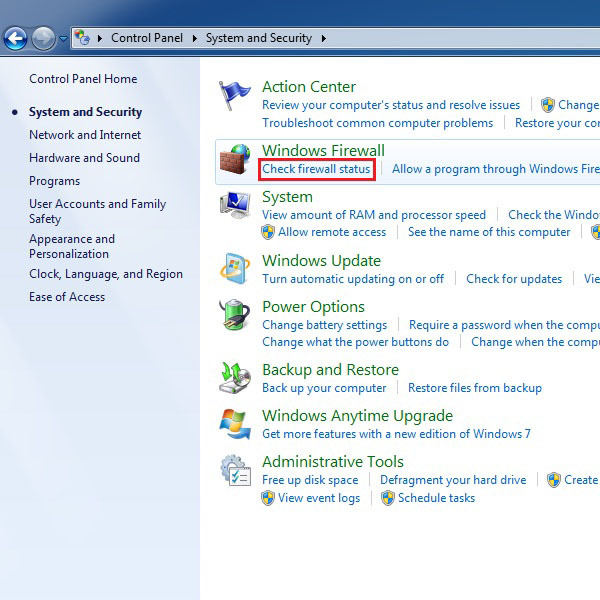 First of all, you will need to open the control panel through which you can access all the options and settings of your computer system. 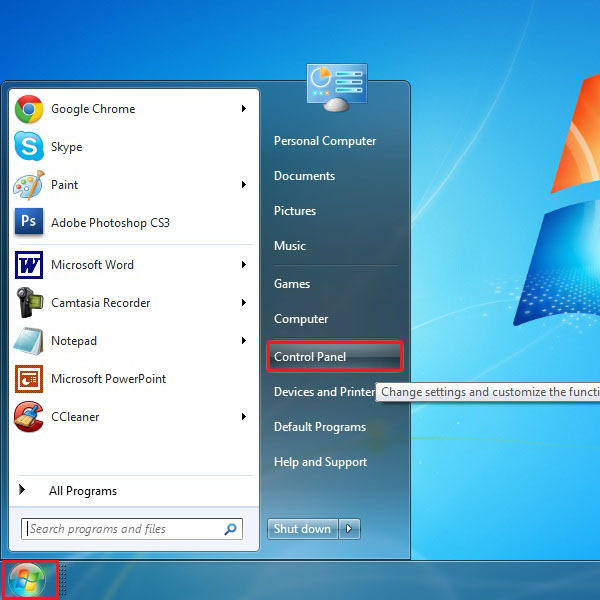 For this purpose, click on “Start Menu” which is available on the bottom left corner of the screen. After clicking on it, a menu will be open up. Now click on the “Control Panel” option, highlighted in the image below. Once the control panel window opens up, click on the “View By” option which is on the top right corner of the screen and set this to “Category”. With this done, all the options and settings would now appear in groups. 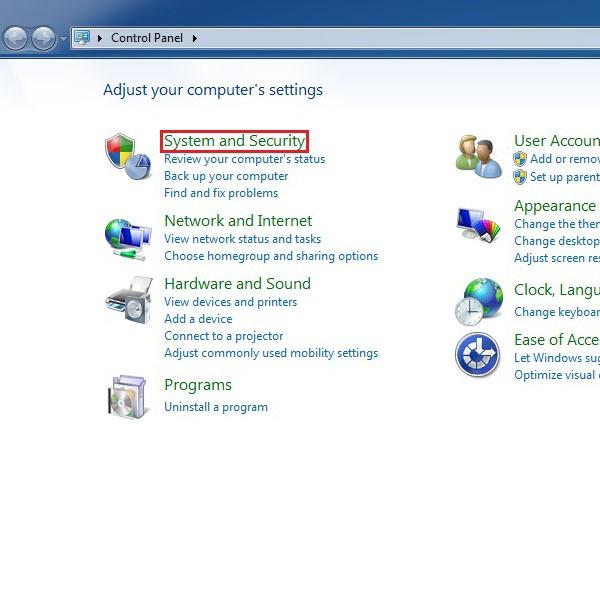 After that, click on the “System and Security” option which is available on the top right corner, highlighted in the image below.. Here you can see many additional options appearing right in front of you. Click on the “Check Firewall Status” option to open up the firewall settings. 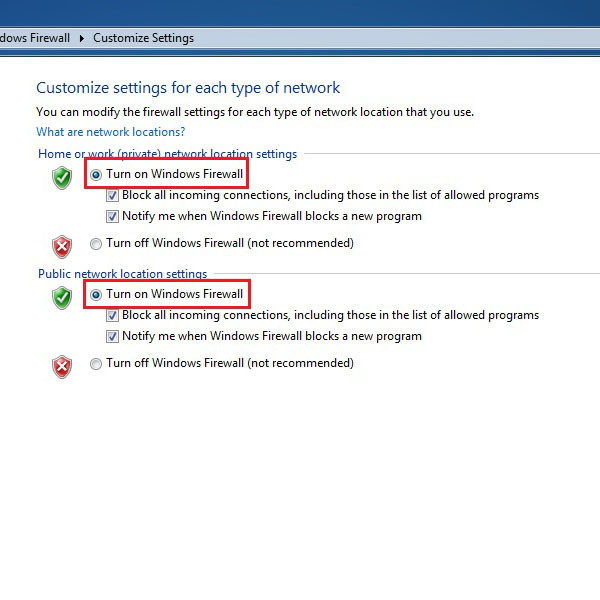 On the next window you can find more advanced options for the windows built in firewall security system. On the left side of the screen, you will see a menu in light blue color. In this menu, there is an option of “Change Notification Settings”. Click on it to open the panel of security settings.